COMPANY PROFILE The Kraft Heinz Co is a food and beverage company. It manufactures and market food and beverage products, including condiments and sauces, cheese and dairy, meals, meat, refreshment beverages, and other grocery products. In July 2015, Kraft merged with Heinz to create the third-largest food and beverage company in North America behind PepsiCo and Nestle and the fifth-largest player in the world. Beyond its namesake brands, the combined firm’s portfolio includes Oscar Mayer, Planters, Ore-Ida, and Philadelphia. Outside of North America, the company’s global reach includes a distribution network in Europe and emerging markets that drive around one fifth of its consolidated sales base, as its products are sold in more than 190 countries and territories around the world. 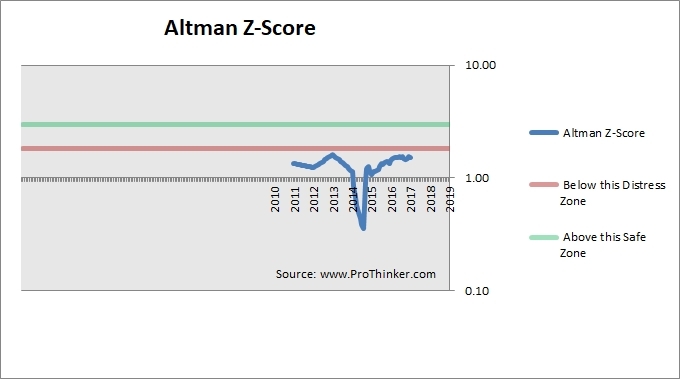 * higher retained earnings as a proportion of total assetsThe latest Z-Score of the company as at Dec 2017 was 1.5, which is in the distressed zone. 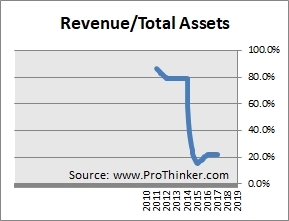 The amount of revenue generated from assets has been on a downtrend since 2011. 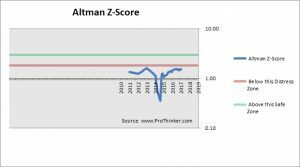 The level of retained earnings relative to assets has been erratic. 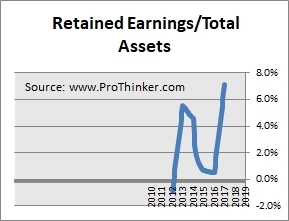 Currently, retained earnings are at 7.1% of total assets. 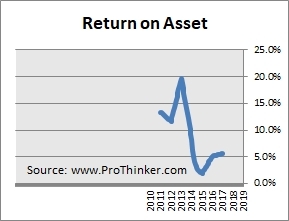 EBIT as a % of assets has been erratic. Currently, EBIT is at 5.6% of total assets. 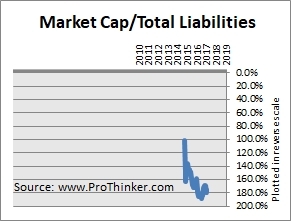 The level of borrowings of the company has been erratic. Working capital is essential to the operations of the company and a low level of working capital may result in liquidity problems. 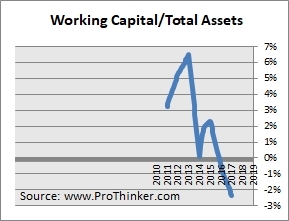 Working capital relative to total assets has been on a downtrend since 2013.